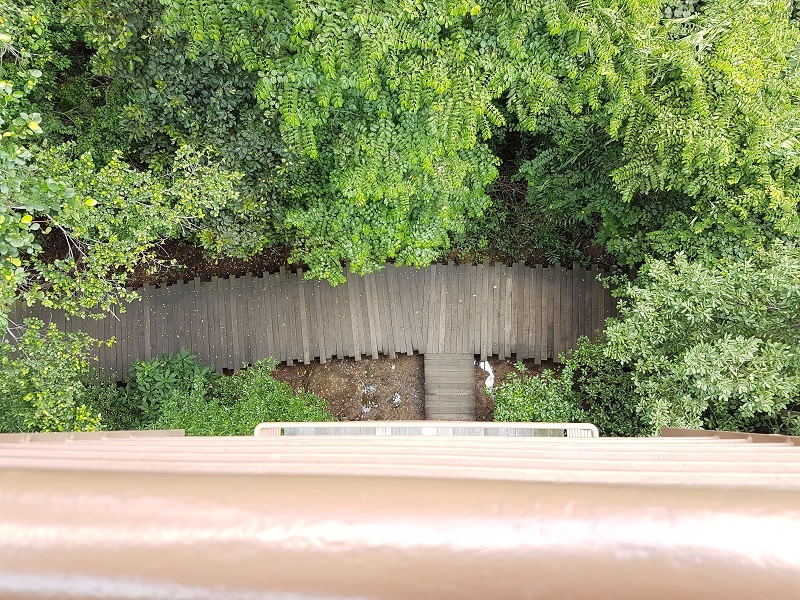 Pulau Ubin in Singapore is like a round peg in the square hole. 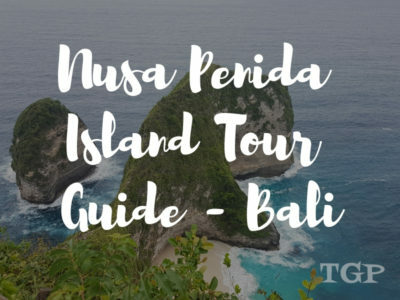 A quaint and mystical island, which is undisturbed and untouched by the concrete jungles of the city, allowing everyone to take a break from the fast-paced lives. It is a place covered with trees and various flora and fauna and can only be explored by a bicycle. 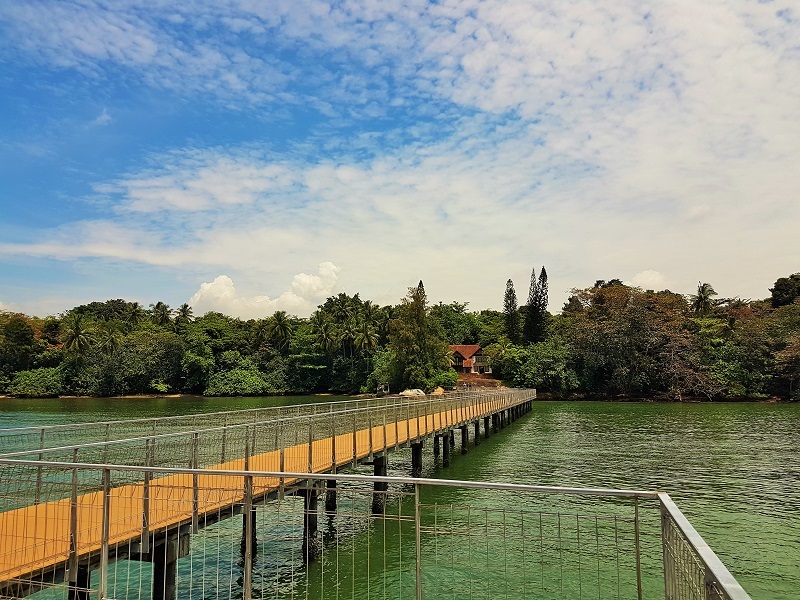 Pulau Ubin is a must-visit place during your trip to Singapore as it boasts a completely different picture of the city. 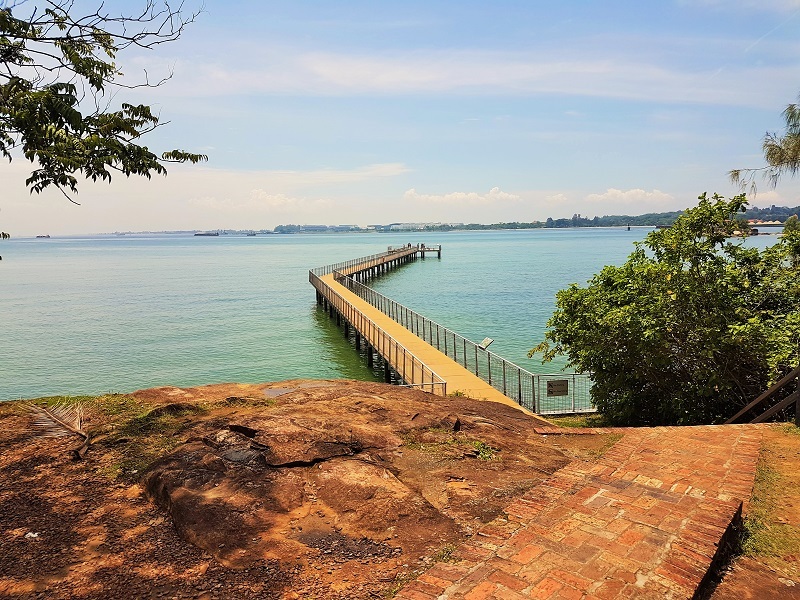 Here I have given you a detailed guide to Pulau Ubin Singapore, which will acquaint you with all the places to visit and things to do. So let’s get started! 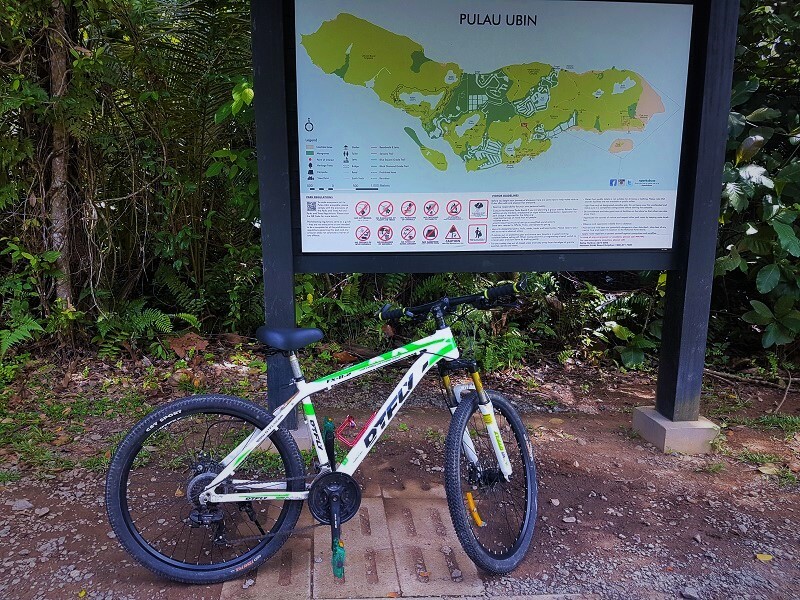 How To Reach Pulau Ubin? 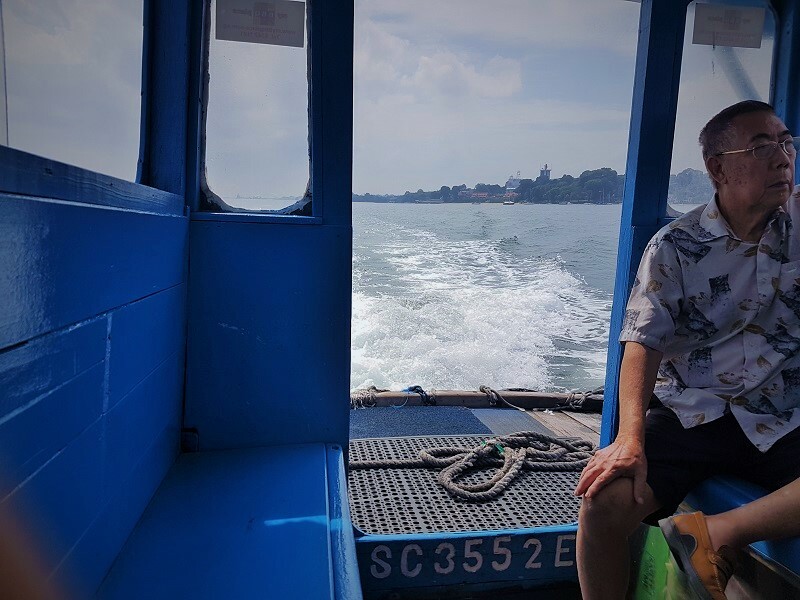 To get to Pulau Ubin, you have to take the bumboat from Changi Point Ferry Terminal, which costs $S3 one way and the travel time is approximately 10-minutes. 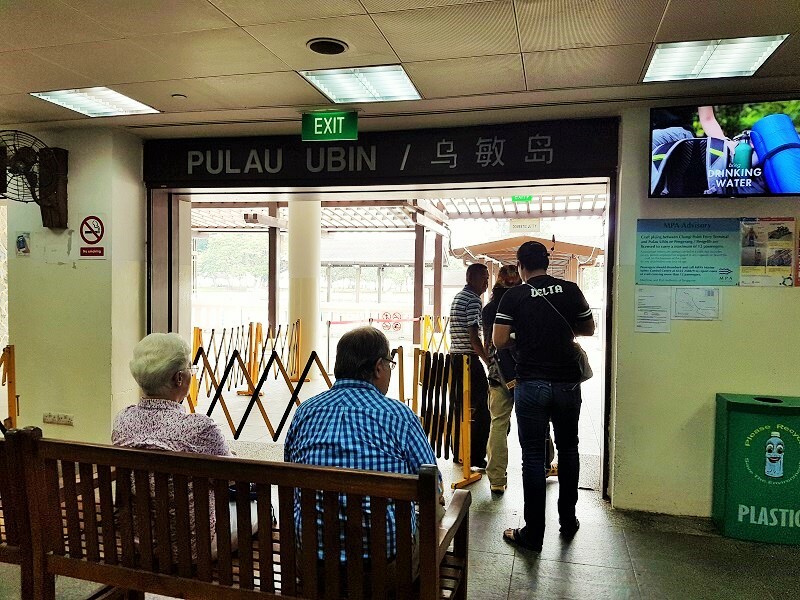 The ferry timings from Changi Point Ferry Terminal to Pulau Ubin is from 5.30 AM to 9 PM. 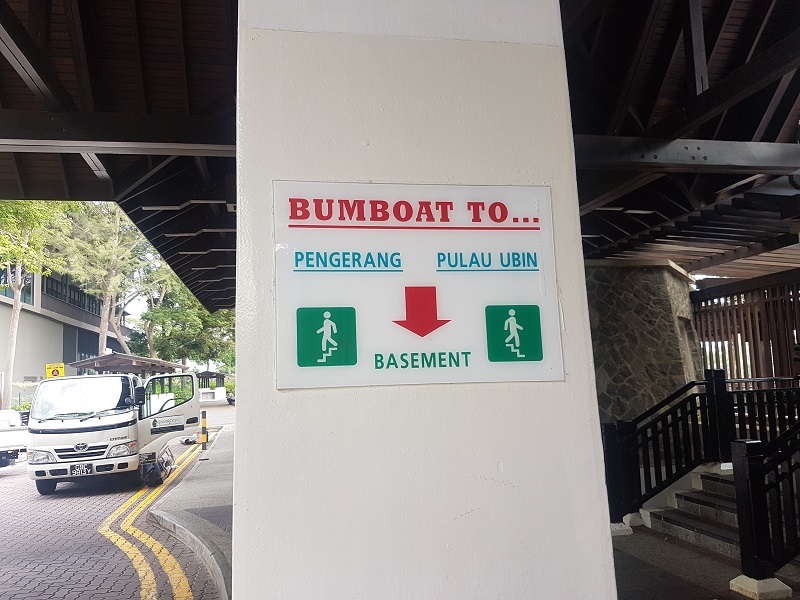 Note: The bumboat can only carry 12 people in a single ride and hence, the owner of the bumboat waits till he gets 12 people. If you do not want to wait but just go instantly, you will have to pay $S36 for the whole bumboat. Now next question is how to reach Changi Point Ferry Terminal? Reaching Changi Point Ferry Terminal is pretty easy. You just have to reach the Tanah Merah MRT from where you can take Bus No. 2, which will drop you directly at the Changi Point Ferry Terminal. Talking about the transportation in Singapore, I will say, I was impressed! Connectivity to everywhere in Singapore is awesome. From cab services, bus services to metro services, everything was just perfect. 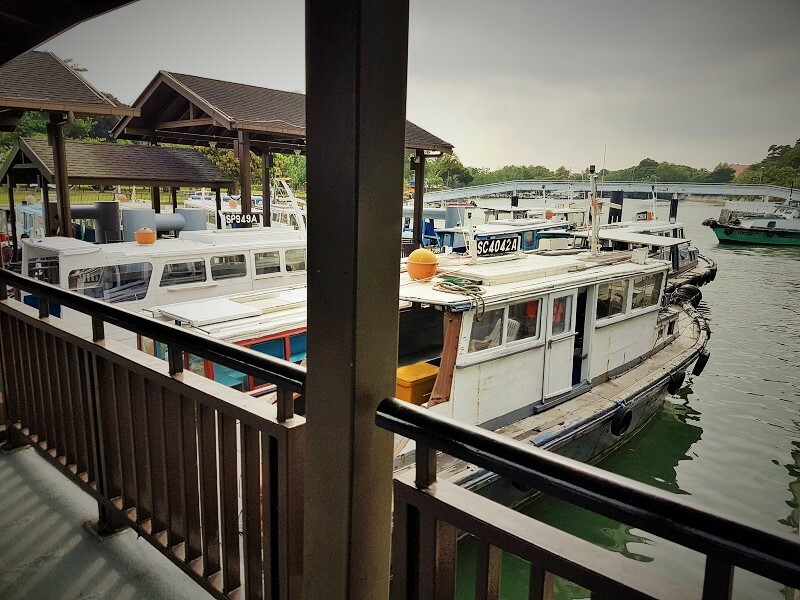 Once you reach Changi Point Ferry Terminal from Tanah Merah MRT, walk towards the bumboat departure berth where you have to wait for a little in the queue, if in case, people are more. 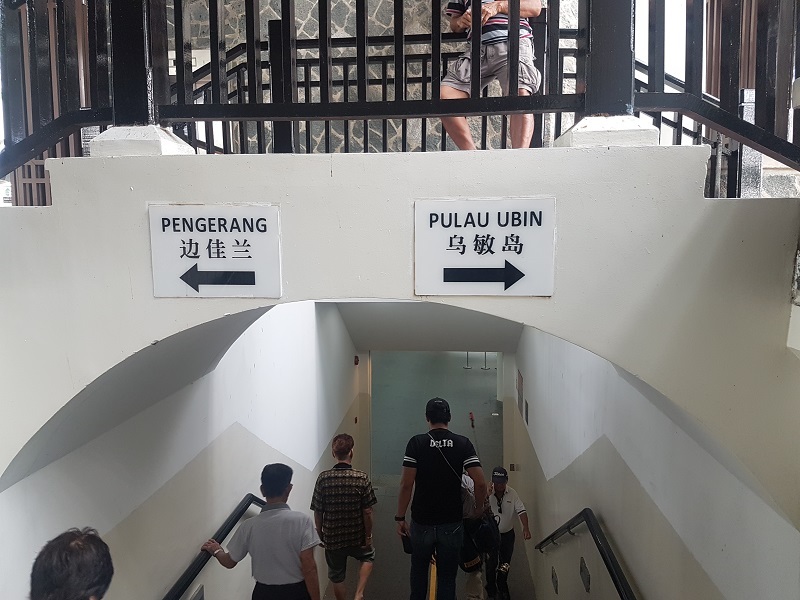 Otherwise, you directly walk to the bumboat and start your journey to Pulau Ubin. But where do you pay the $S3? You pay on the go. Yes! 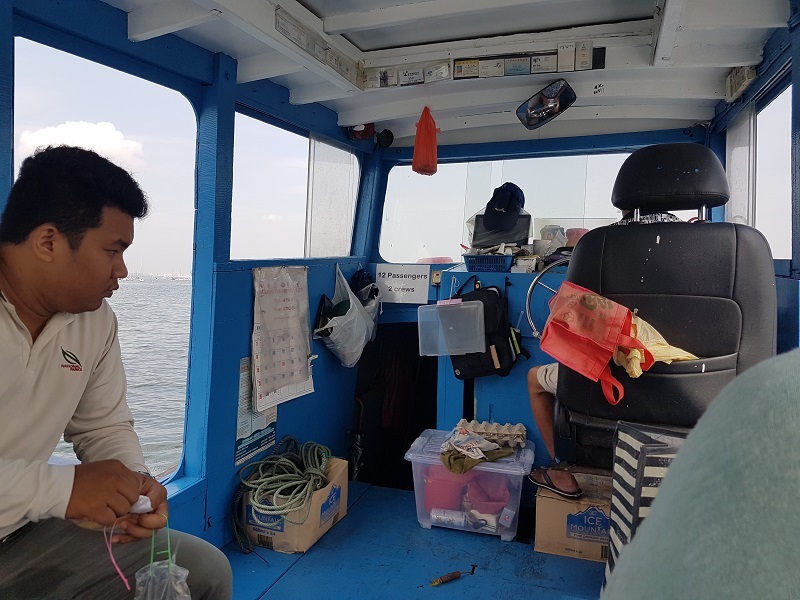 The majority of the boats are driven by their owners and they collect money after you board the bumboat. Important Tip: You can only pay in cash and hence, please carry the same with you. Paying through e-wallet or cards won't work here. So, if you are out of cash, you better withdraw some before getting on the bumboat. 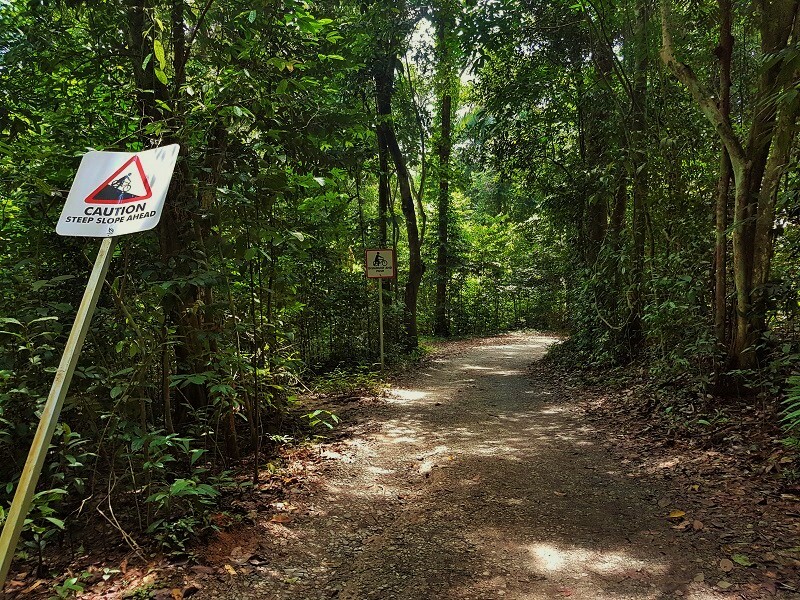 Before we move ahead let’s acquaint us a little about Pulau Ubin. Pulau Ubin or just Ubin means the “Granite Island” in the Malay language because of the variously abandoned granite quarries here. 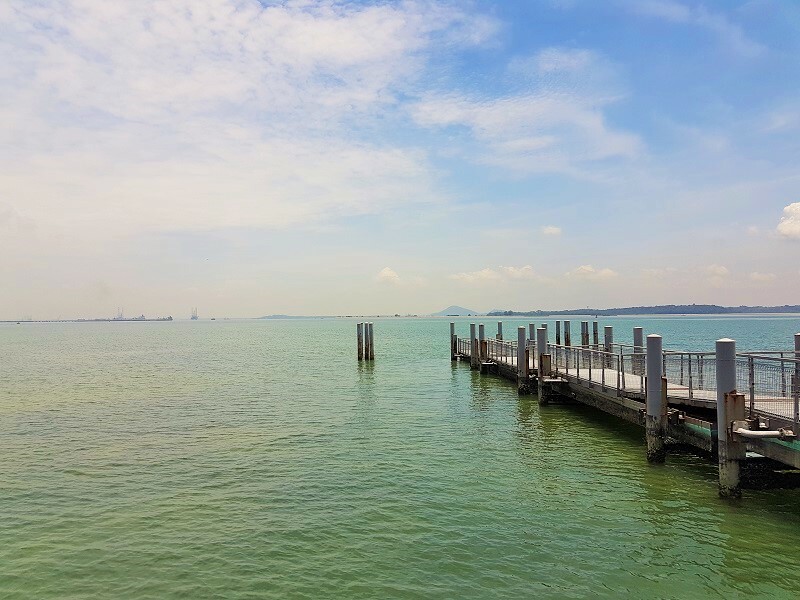 The island is situated on the north-eastern side of Singapore and is accessible only via bumboats, departing from Changi Point Ferry Terminal. 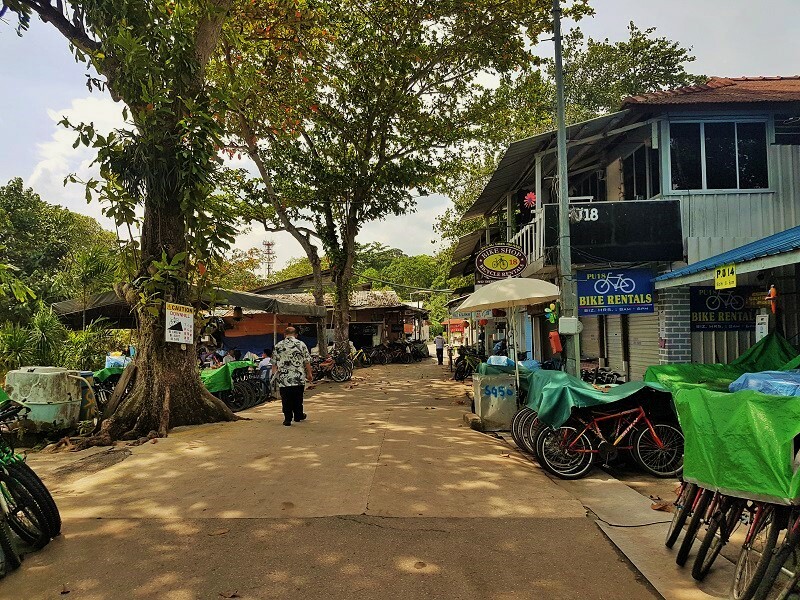 Pulau Ubin is one of the last rural areas near Singapore and is home to approximately hundred villagers only. 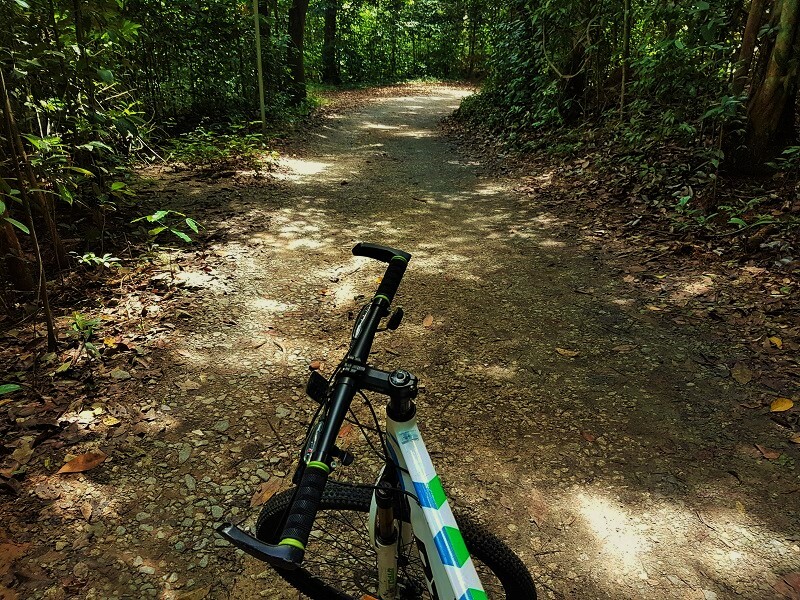 However, it has the abundance of flora and fauna along with various beautiful pathways and trails, making it a cyclers paradise near Singapore. 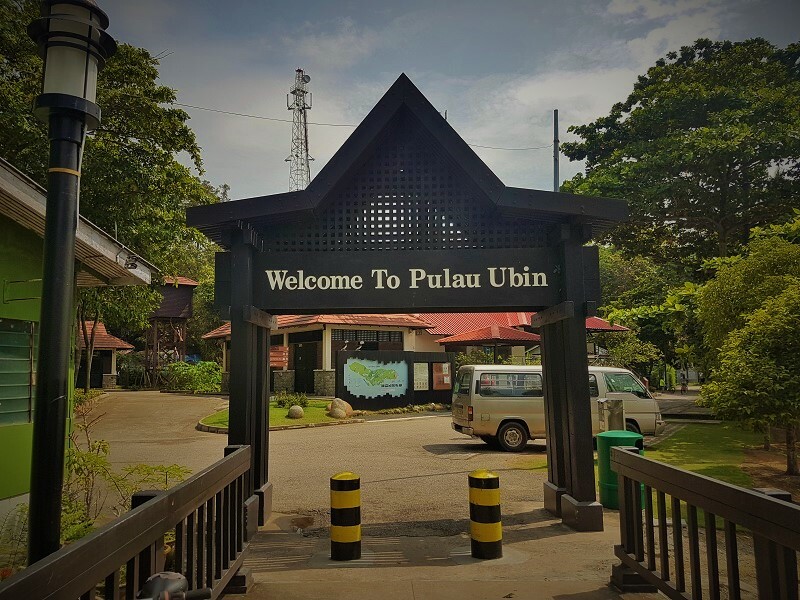 Talking about a little history of Pulau Ubin, it first appeared on the map in 1828 as Pulo Obin. 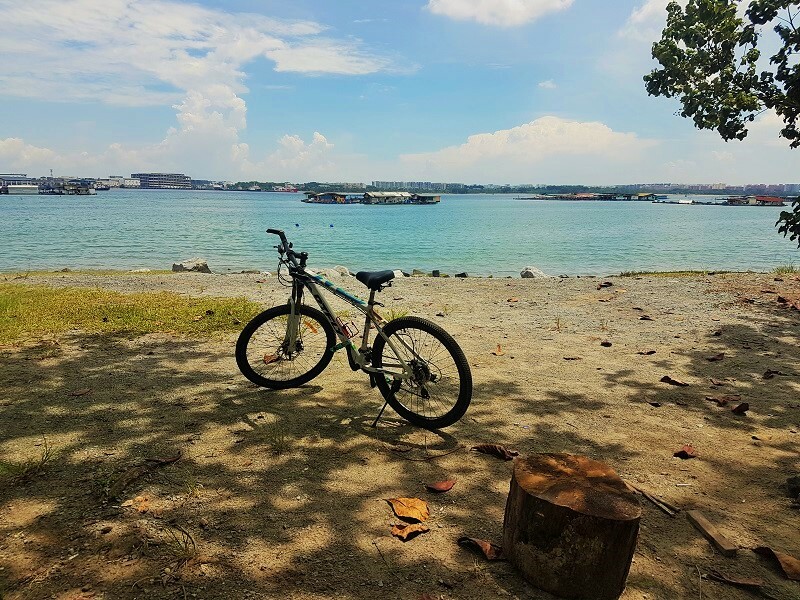 What To Do In Pulau Ubin? 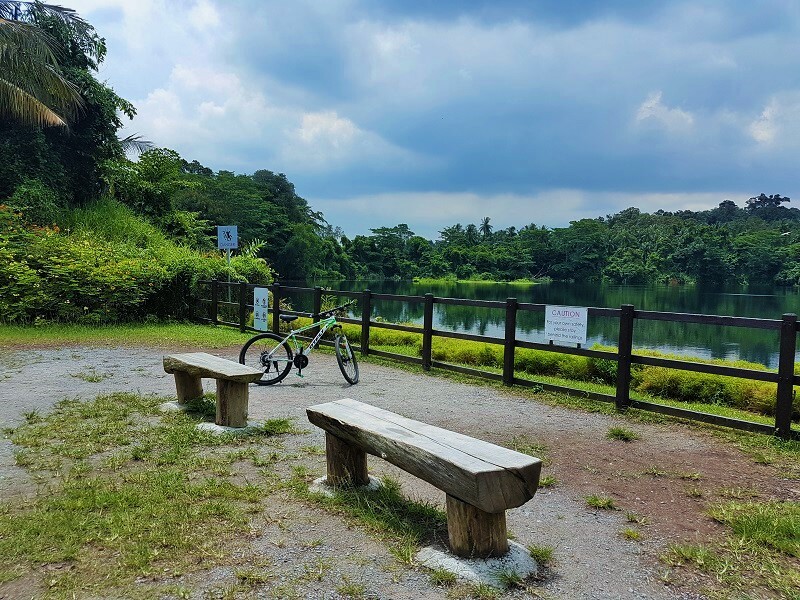 From cycling to trekking to hiking and what not, Pulau Ubin is a hub for outdoor adventure activities. 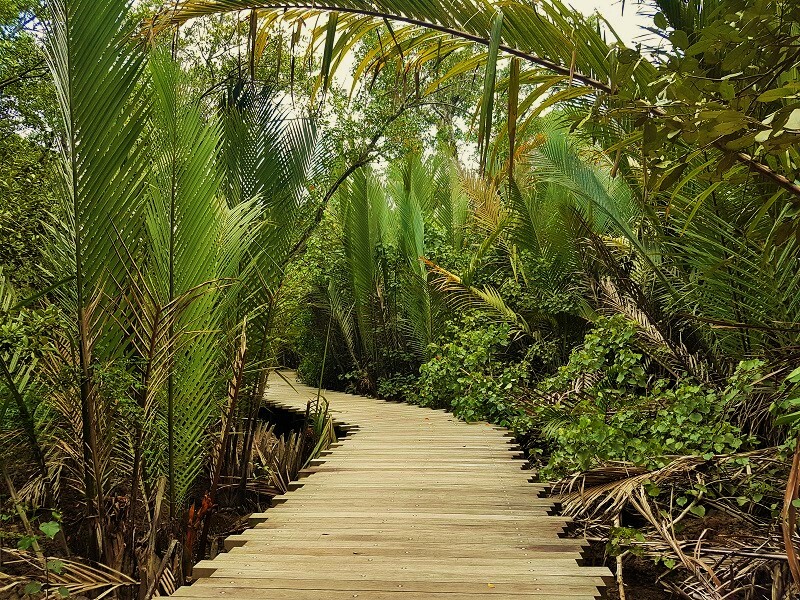 At the end, it is your choice how you want to explore this beautiful island. 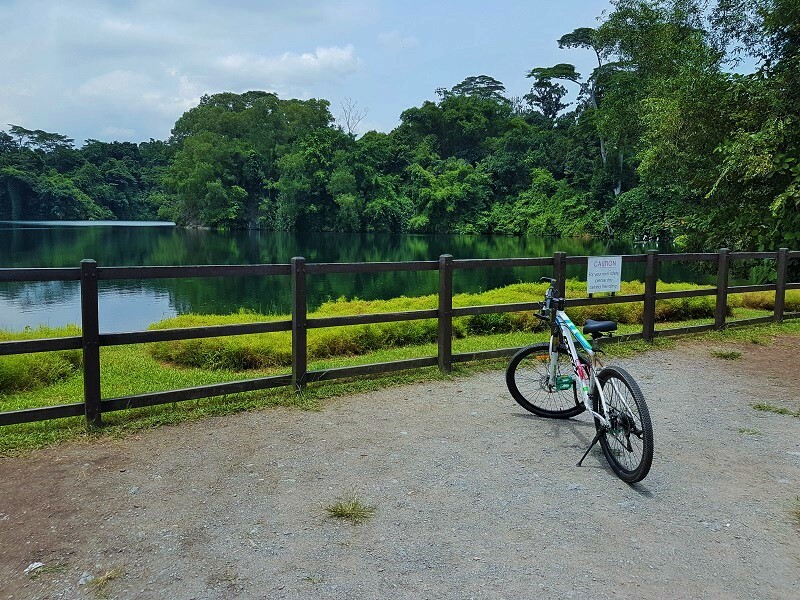 However, the best way to get lost in the beauty of Pulau Ubin is via renting a bicycle. 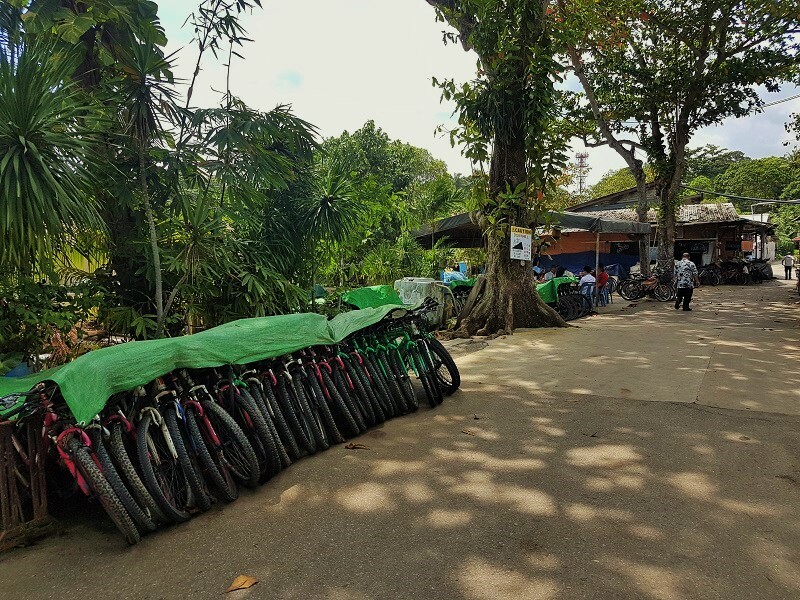 As you will get down and walk towards the island’s main entrance, you will see a lot of bicycle rentals in Pulau Ubin with a wide variety of bicycles. 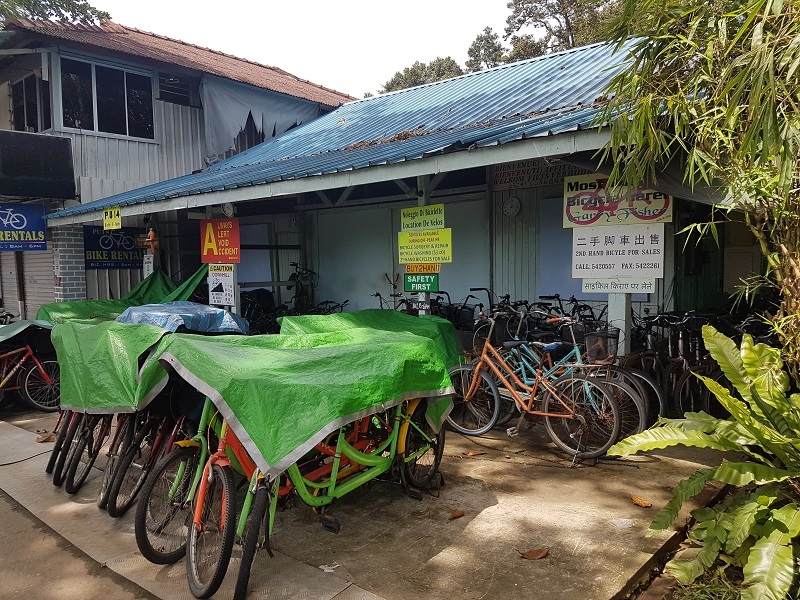 The cost of cycle rental in Pulau Ubin varies from $S5 to $S20 for a whole day, depending on the cycles’ condition. I took the 32 gears bicycle and the rental cost of the same was $S15 for the whole day. It was a nice, strong and comfortable bicycle. Again, only cash works here, no e-wallet or credit/debit cards are accepted to pay for the bicycle rental. Once you have taken the bike rental, you are good to go. The guy from the bicycle rental shop also gave me the photocopy of Pulau Ubin’s Map where all the important trails and locations were marked. 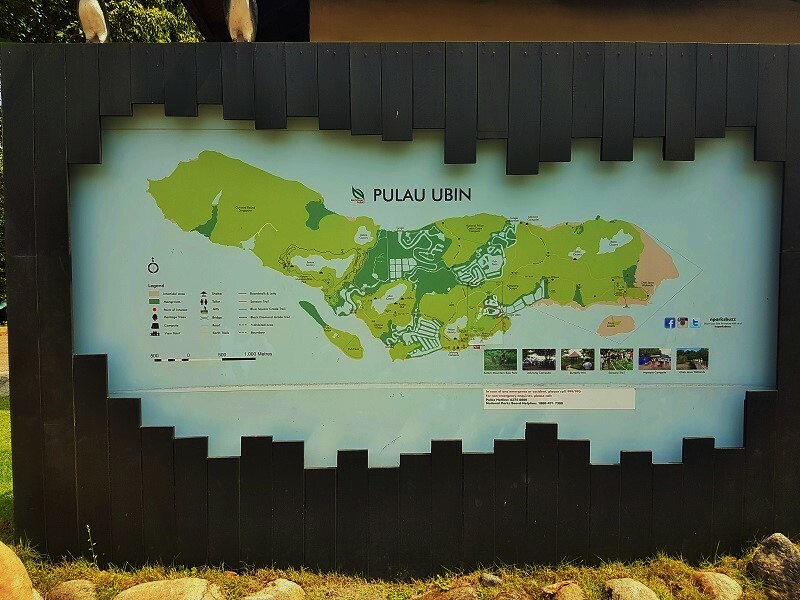 Moreover, you can also find the large boards placed in various places, showing the larger versions of the map of Pulau Ubin. 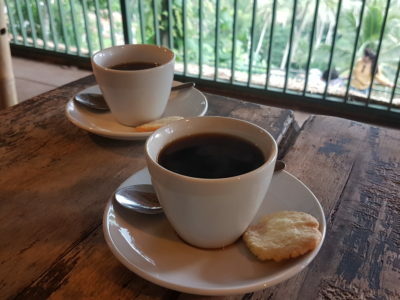 Before starting your bicycle journey of Pulau Ubin, it is recommended that you keep sufficient water with you and maybe some energy drink to keep yourself hydrated. However, you will find the snack and drinks machine at the various locations like Chek Java, etc. but it is wise to be ready for the odd circumstances. Moreover, it can be extremely hot sometimes and not keeping yourself hydrated under these conditions might not be a good idea. 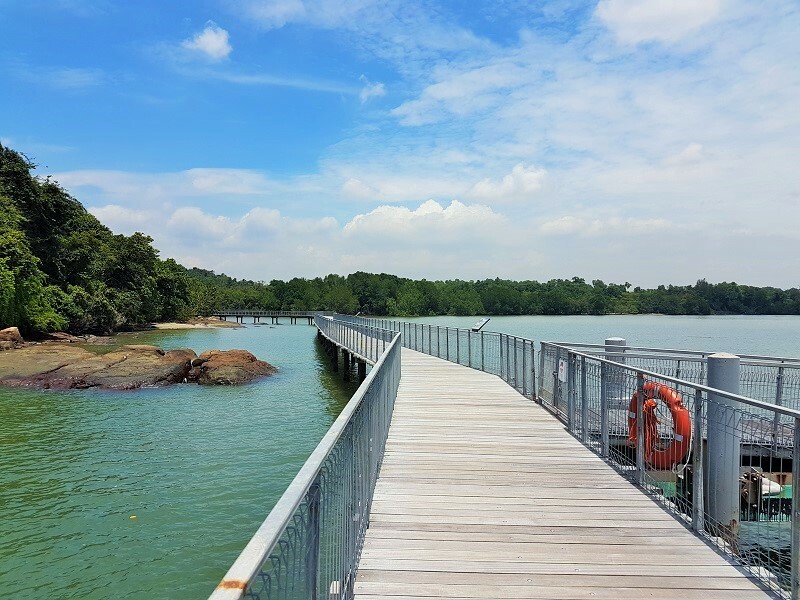 The next step to the detailed guide to Pulau Ubin Singapore is to know about its various places to visit. When are you are all set with the bicycle, maps, snacks, and water, it’s time to explore this beautiful island. 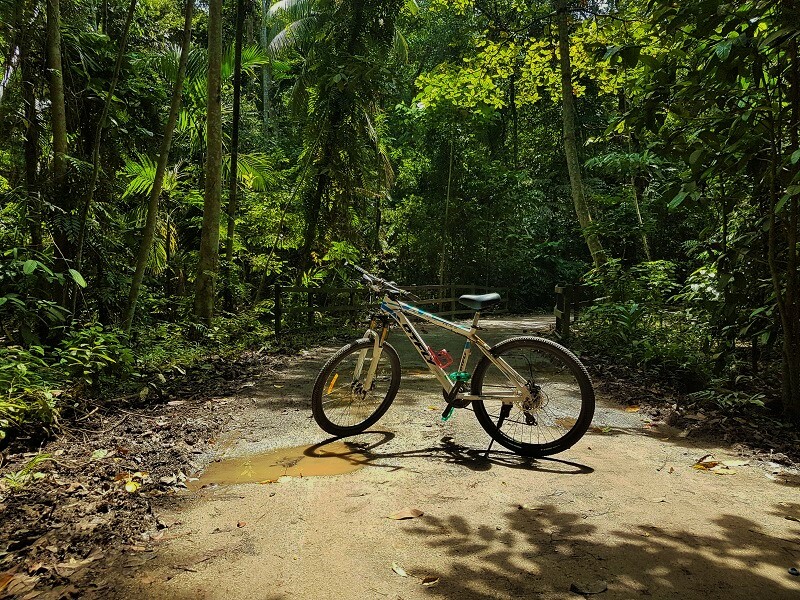 Pulau Ubin has a lot of places to visit and if you are someone who doesn’t have much cycling experience (like me), won’t be able to cover all the places. 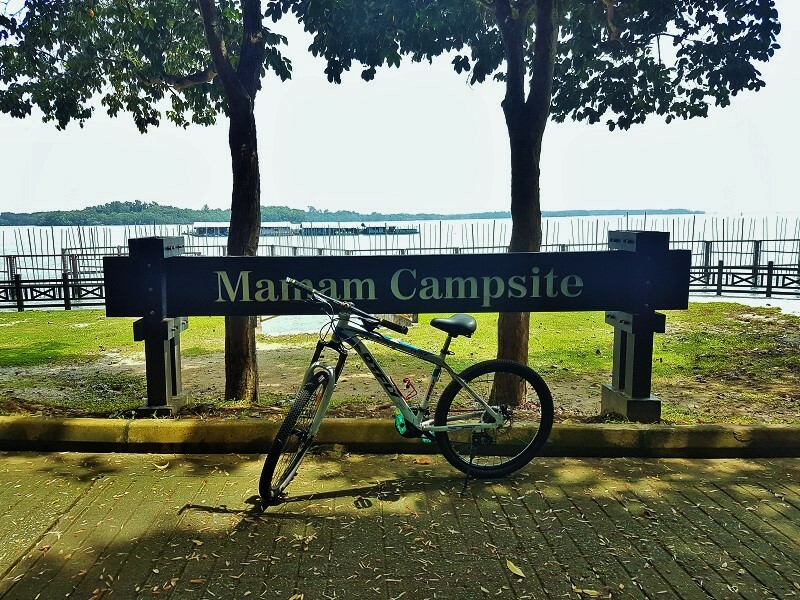 The first stop on this day tour to Pulau Ubin after grabbing my bike was the Mamam Campsite. 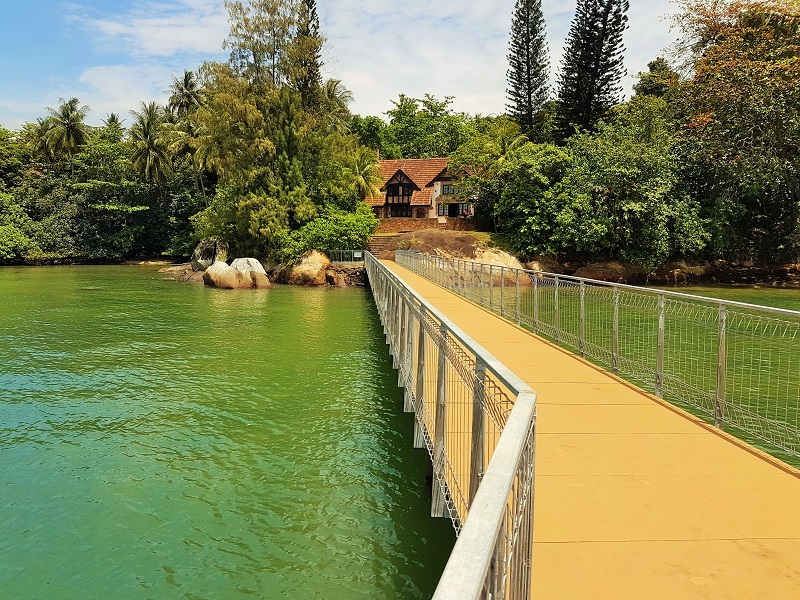 It is located on the northern side of the island and is on the opposite corner of the Pulau Ubin Village. Mamam Campsite is one of the many campsites where you can pitch in your tents and spend an awesome night on this beautiful island. One of the best parts of the Mamam Campsite in Pulau Ubin is that you can also see the country of Malaysia from here on the other side. Yes! it is that near from here. 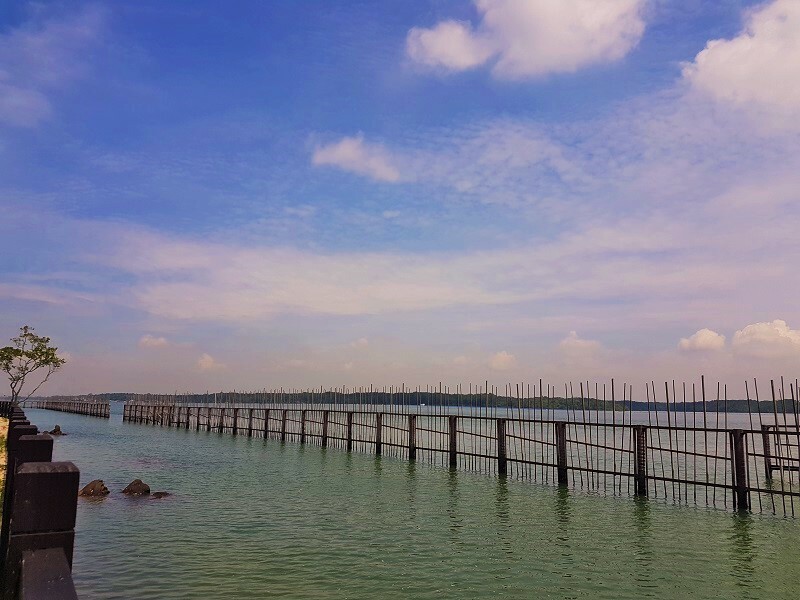 Any guide to Pulau Ubin Singapore is incomplete without visiting the Chek Jawa Wetlands. 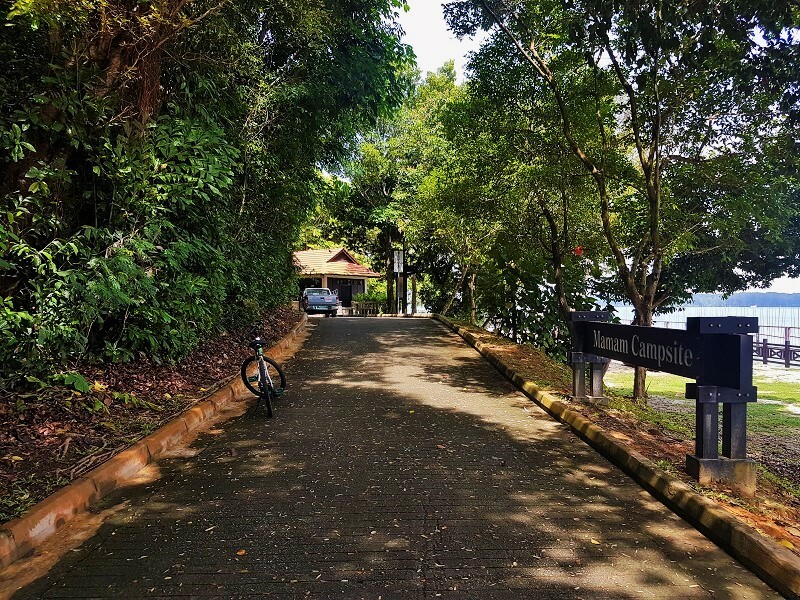 It is one of the best and unique places to visit in Pulau Ubin. My journey to the Chek Jawa Wetlands from Mamam Campsite was a little longer one. Primarily, because I lost the way. 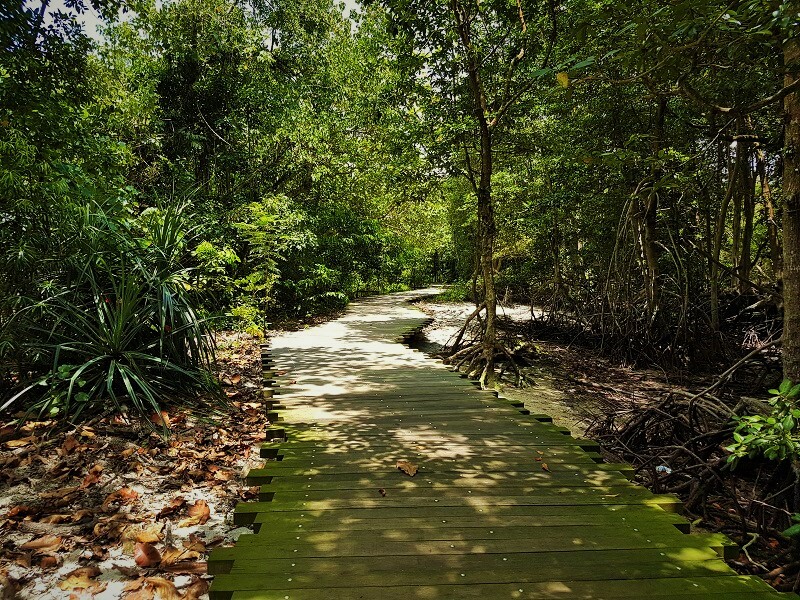 However, the trail till the Chek Jawa Wetlands is beautiful. It is not the tarmac road but the rough trail, giving you a real biking experience. Chek Jawa Wetlands from Mamam Campsite was around 3 KM and hence, on the way, I stopped for my first drinks break. It was a little hot and as I told, keeping yourself hydrated is extremely important. 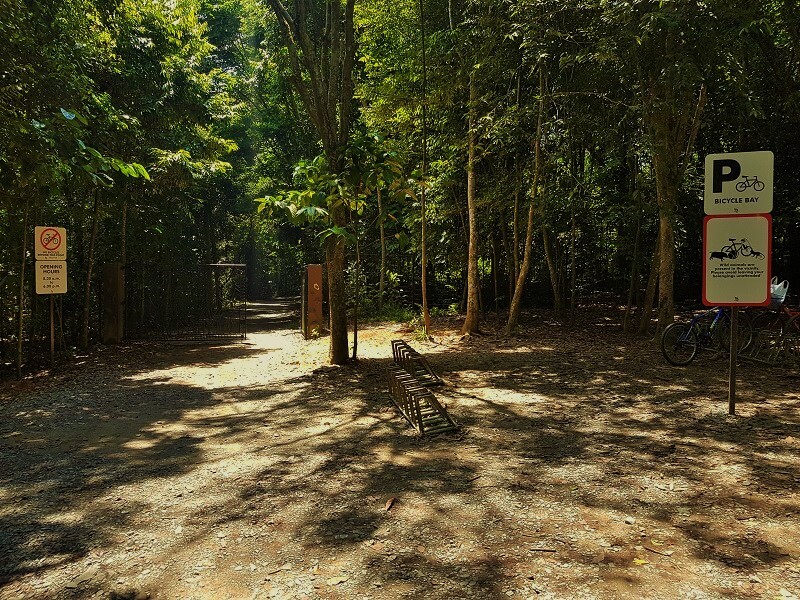 The trail to Chek Jawa Wetlands passes through thick jungle and dirt roads. It had rained last night and hence, you could find a lot of mud puddles on the way. 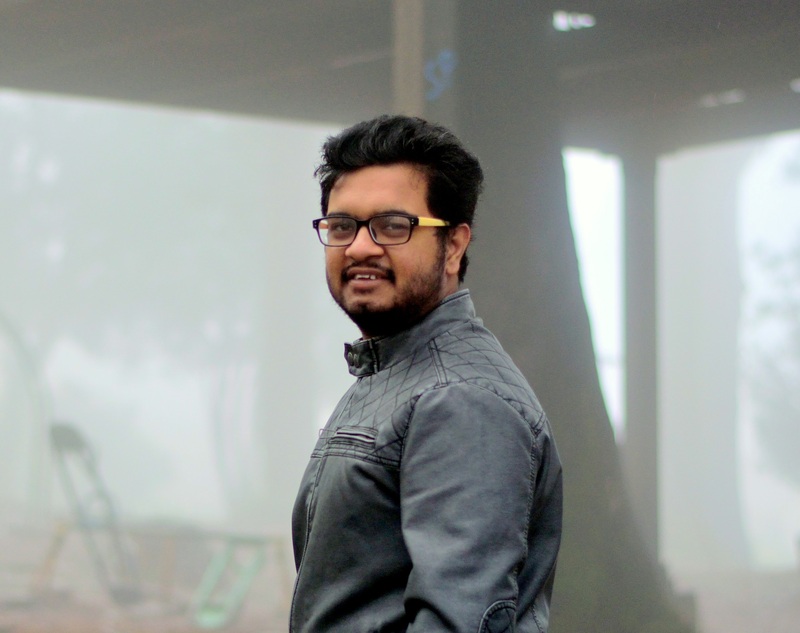 Overall, it was a totally new experience for me and I totally loved it. As it is a natural habitat, you can also see various animals crossing your way. If in case you find wild boar or the water monitors, do not panic. They are shy animals and try to avoid interactions with human and hence, just be calm and let them go. 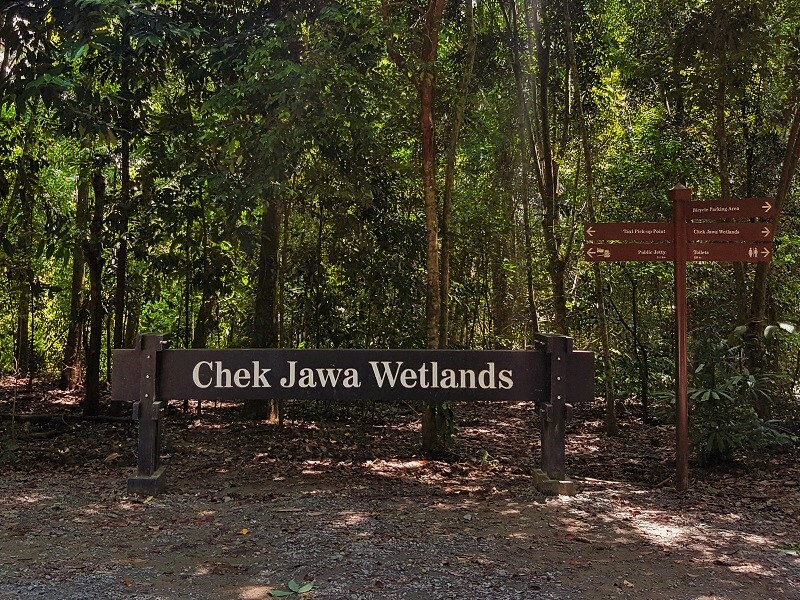 You can only explore Chek Jawa Wetlands by foot and hence, you have to park your bicycle at the cycle stand at the entrance of Chek Jawa Wetlands. 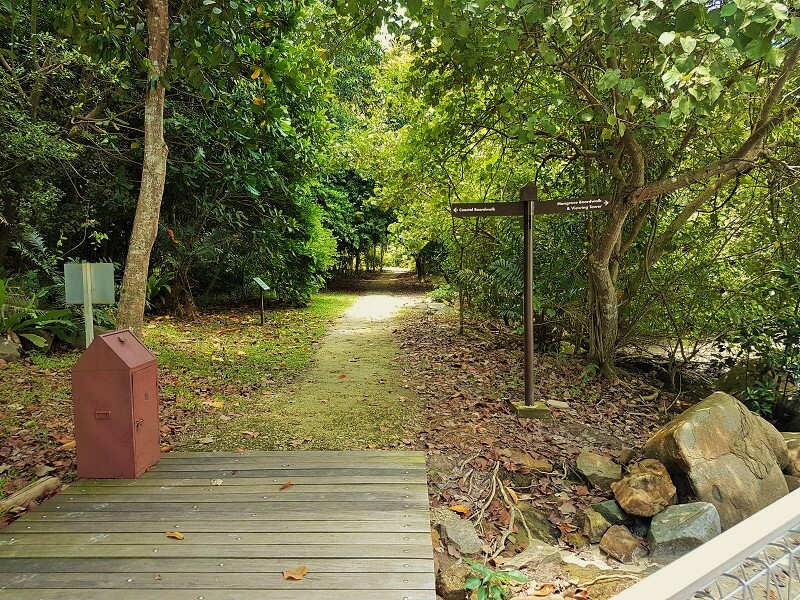 As you start walking into Chek Jawa Wetlands, you will see an information kiosk on the right side. 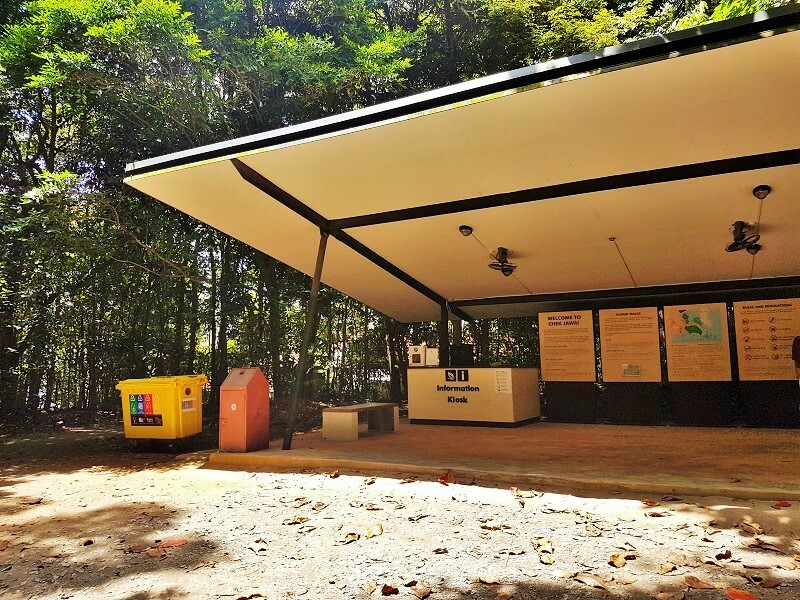 This information kiosk at Chek Jawa Wetlands had all the necessary things that you might need, for example, the map of Chek Jawa Wetlands, vending machines, full of soft drinks, water bottles, energy drinks, etc. 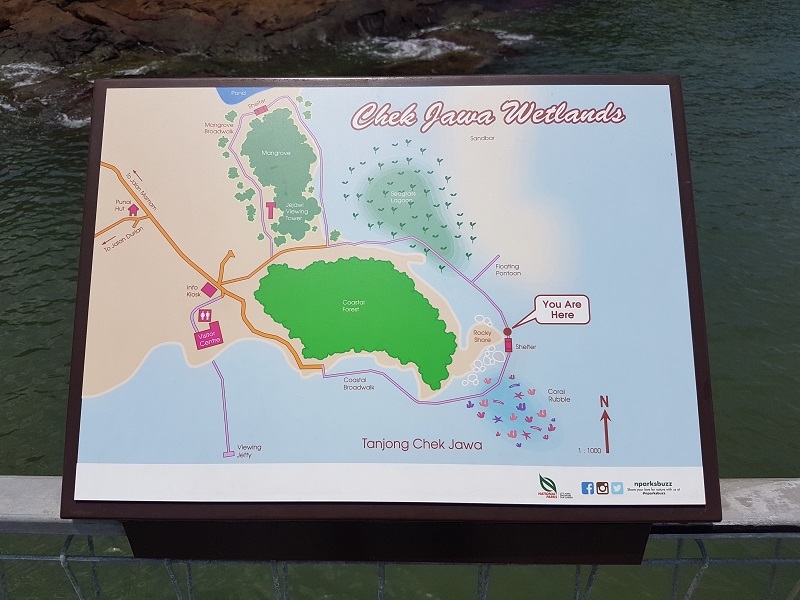 You can also find some of the vital information about the flora and fauna of Chek Jawa Wetlands. 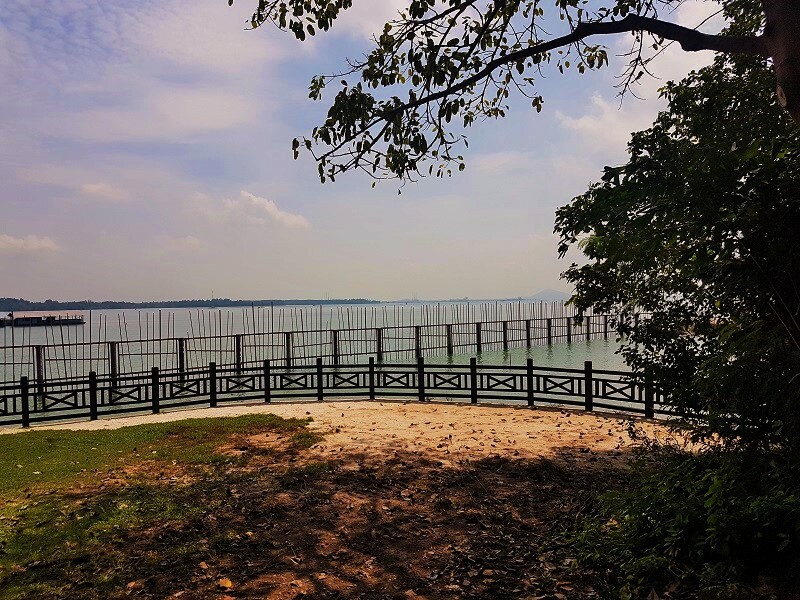 When you walk straight from the Information Kiosk you will see three ways – one takes you to the visitors center, which highlights the history and other important information of Chek Jawa Wetlands and viewing jetty; if you turn left, you go to the Jejawi Tower and mangrove broadwalk; and if you go straight, you reach the coastal broadwalk. 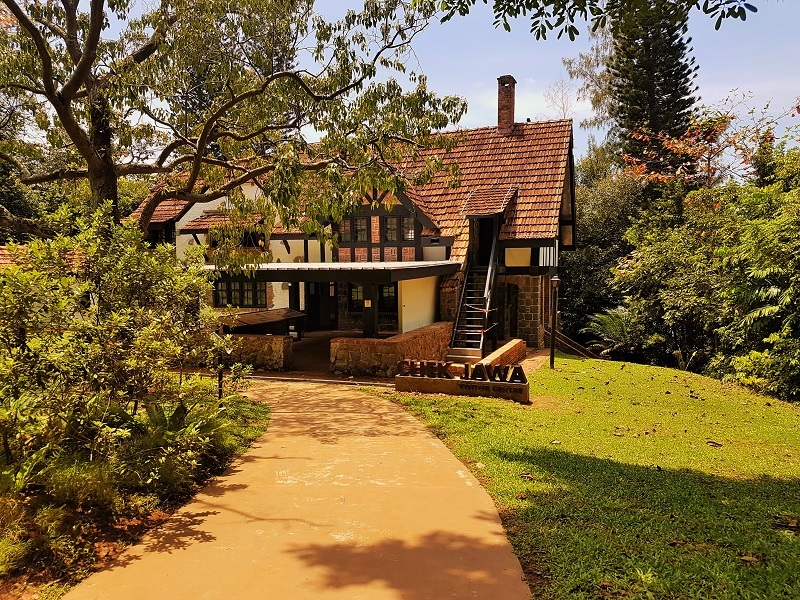 Visitor Center at Chek Jawa Wetlands is nothing much a small and beautiful house, holding the various information about the flora and fauna found in Chek Jawa Wetlands along with its history a few other things. 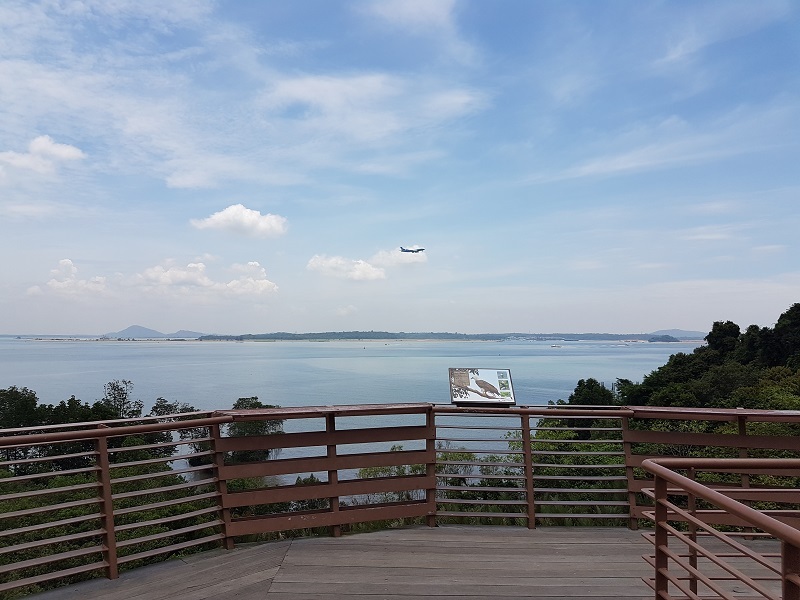 Once you past walk the visitor center, you reach the Viewing Jetty of the Chek Jawa Wetlands, which boasts the beautiful view of the sea horizon. You can even behold the planes landing and taking off from the Changi International Airport. 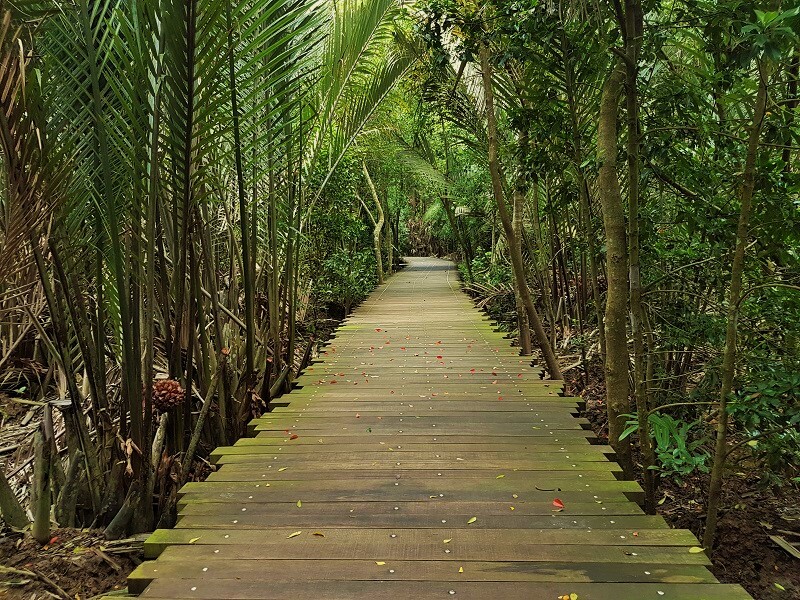 If you continue your walk till the end of Coastal Walk, you get a right turn, which takes you to the Mangrove Broad Walk and other takes you back to the information kiosk, which was at the starting point. 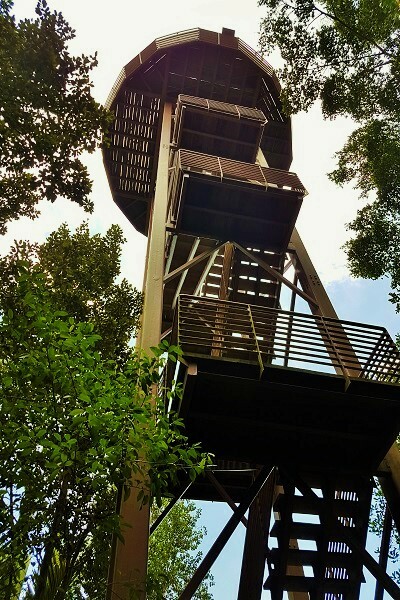 At the end of the Mangrove Broad Walk at Chek Jawa Wetlands, there is a tower called – Jejawi Tower. After exploring Chek Jawa Wetlands for around 2 hours, it was time to move on. So, I started cycling and after a few KMs, I stumbled upon a beautiful pond shaped structure. It had turquoise colored water and the sight was extremely beautiful. This was the Balai Quarry, which used to be used for granite extraction. Pulau Ubin has various quarries, viz. Balai Quarry, Ketam Quarry, Pekan Quarry, Ubin Quarry and Kekak Quarry. All these quarries are now just used as the scenic viewpoints and the granite extraction is stopped. 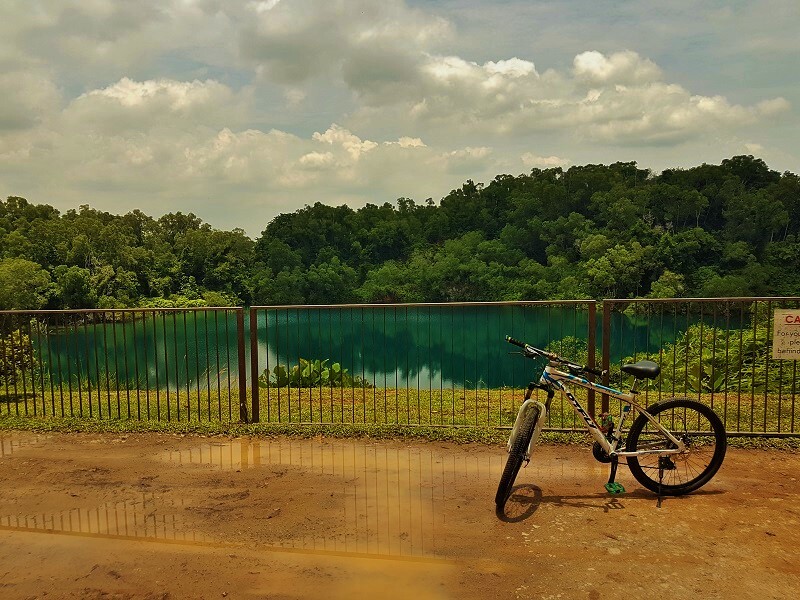 Next, in this list of guide to Pulau Ubin Singapore is the Pekan Quarry. It is located just before the entrance to Butterfly Hill and is famously known as the habitat for Heron birds. 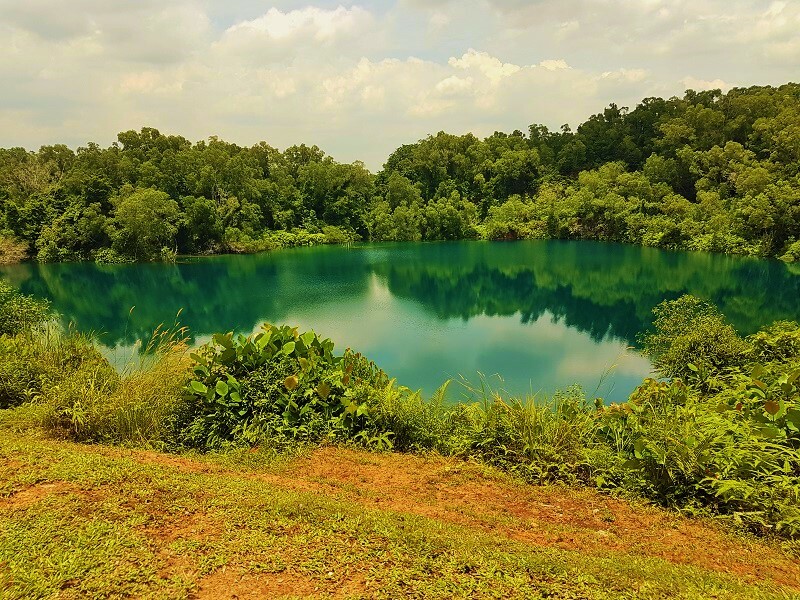 Pekan Quarry was previously known as Ho Man Choo Quarry, which was later renamed to Pekan Quarry because of the Pekan village located in the vicinity. In front of the Pekan Quarry, there are benches where you can sit and relax whilst you enjoy the scenic beauty of Pekan Quarry. The time I reached Pekan Quarry, it was cloudy a little and hence, the beauty of Pekan Quarry was enhanced. Just in front of the Pekan Quarry is the Butterfly Hill. 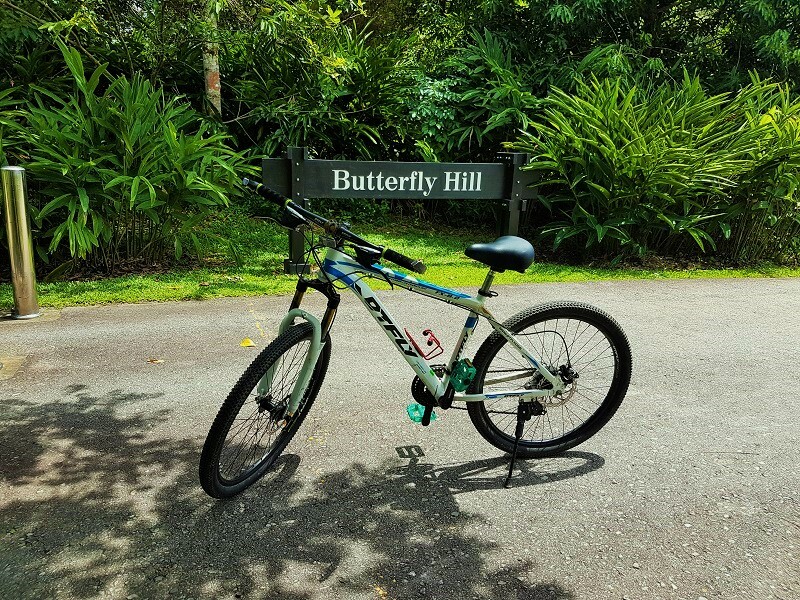 As the name suggests, Butterfly Hill is a small sanctuary and is the home to more than 140 species of butterflies. 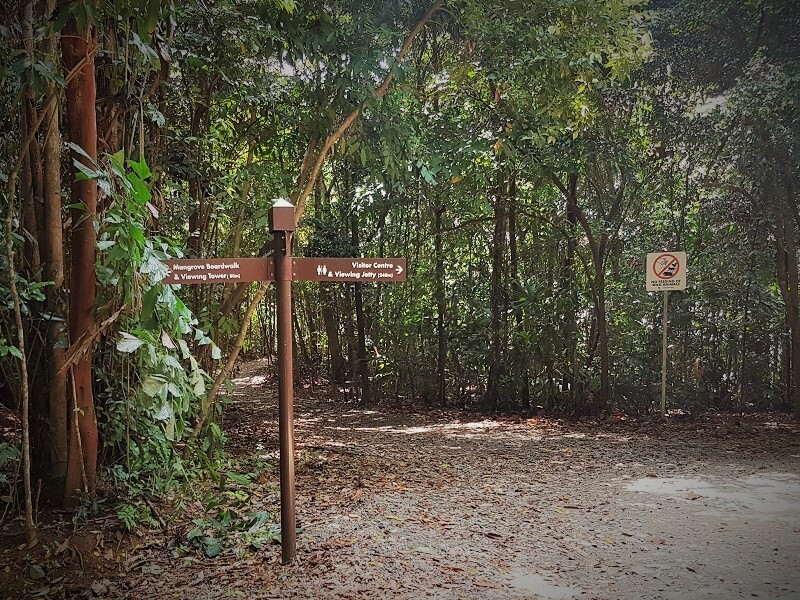 While exploring the Butterfly Hill in Pulau Ubin, you can get the sight of rarest species of butterflies some of which include Black Veined Tiger, Dwarf Crow, Common Bluebottle and much more. Some of the species, which were thought to be extinct previously, are found on this Island and in sufficient numbers, Dwarf Crow being one of them. 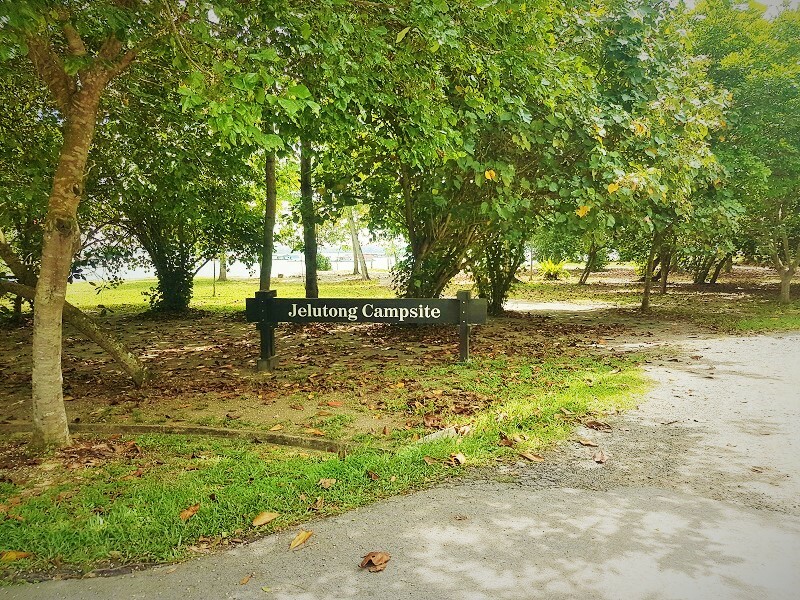 Another beautiful campsite in Pulau Ubin is the Jelutong Campsite. 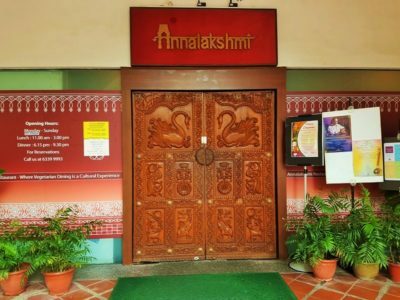 It is located on the opposite of Mamam Campsite and is a little bigger than the same. You get the beautiful view from the campsite and it has places where you can start your bonfire. 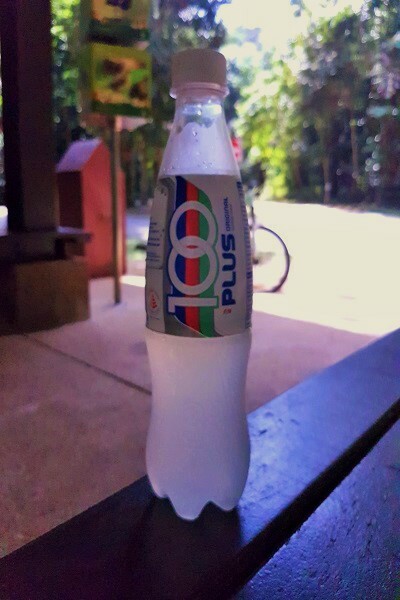 After a tiring cycling session of Pulau Ubin, I, too, sat under the shades of the tree for some time and relaxed. 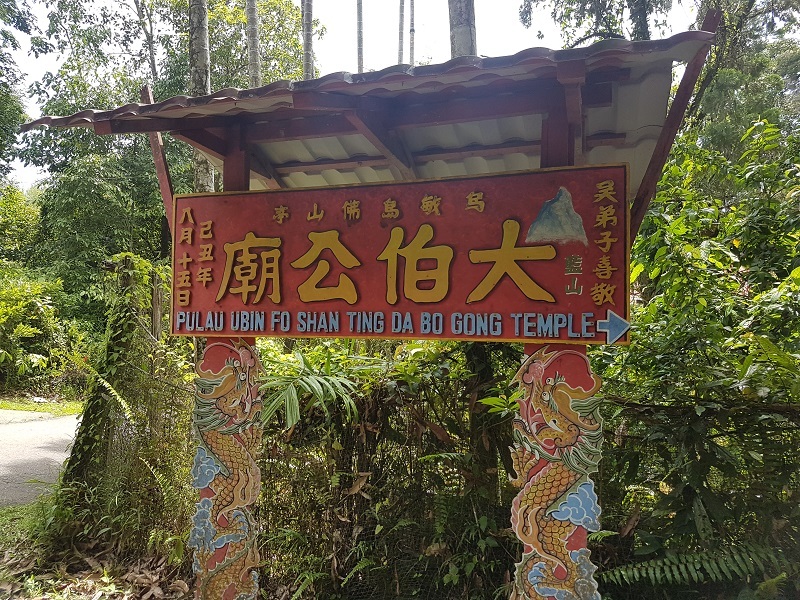 My last stop on this amazing tour of Pulau Ubin was Fo Shan Ting Da Bo Gong Temple. 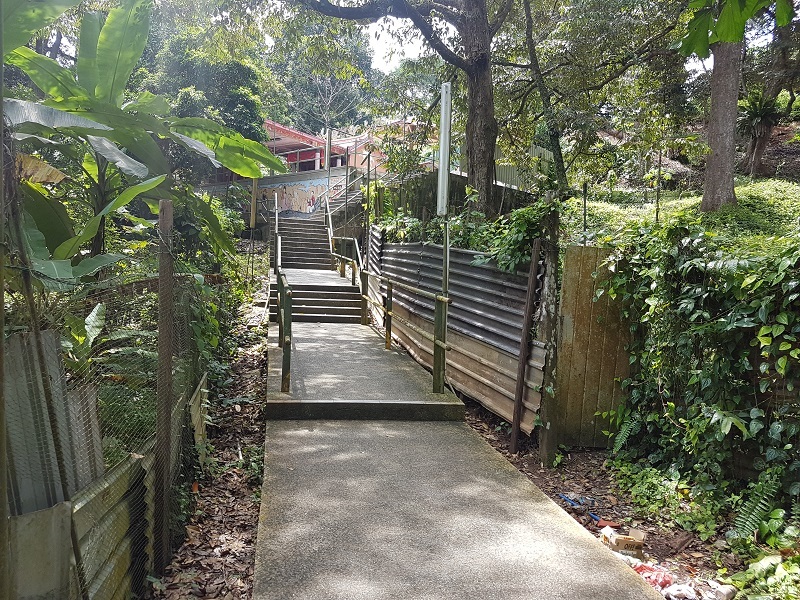 While cycling from Jelutong Campsite towards the Ubin Town, you get to see the small temple located on the left side. To reach the temple, you have to take the stairs and as I was too tired I did not visit the temple. However, I took a few photos from the main road only. Though there were many more places to visit in Pulau Ubin, I was too tired that I had to skip visiting those places. 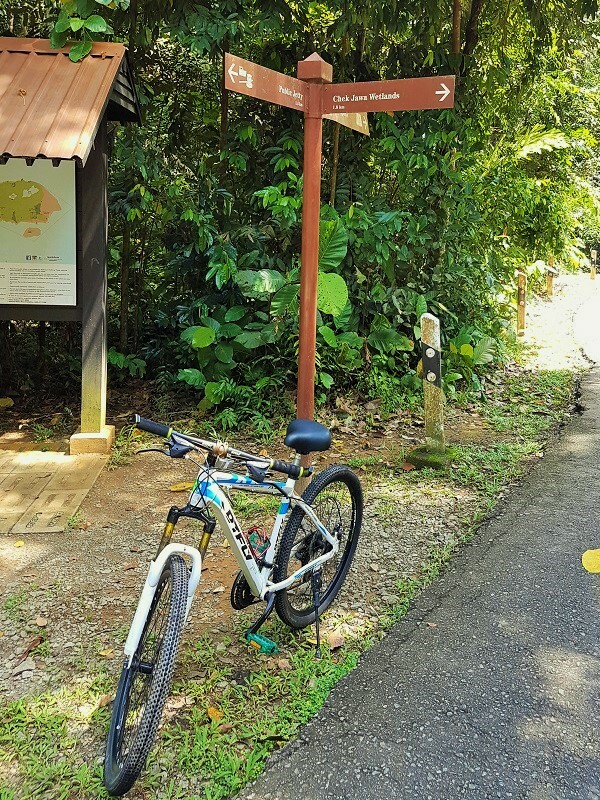 The places that I skipped include German Girl Shrine, Puaka Hill & Ketam Mountain Bike Park. 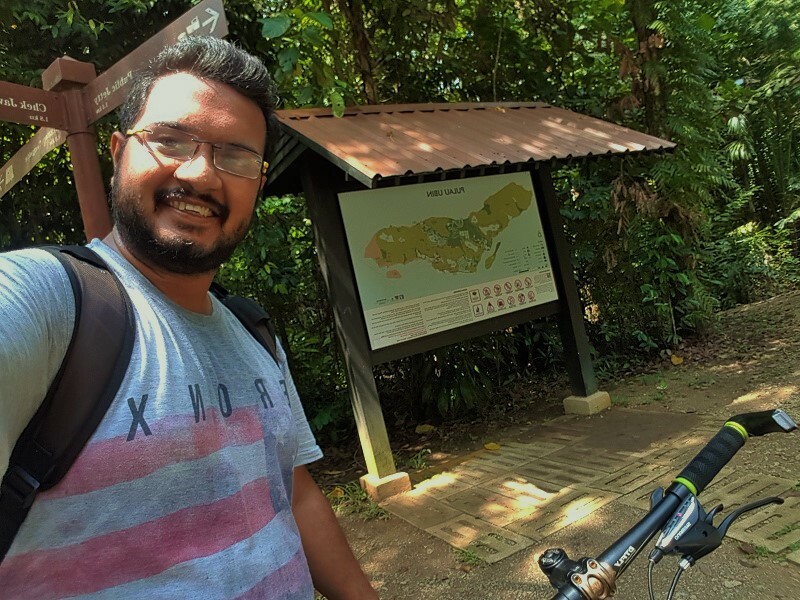 This biking expedition to Pulau Ubin was an amazing and unique experience for me. 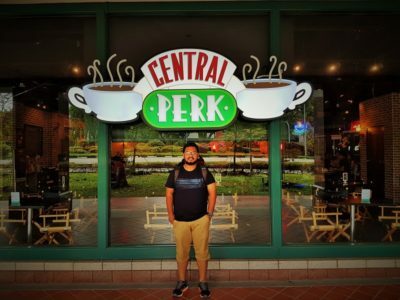 I would definitely visit this beautiful island on my next visit to Singapore and cover the places, which I missed this time. 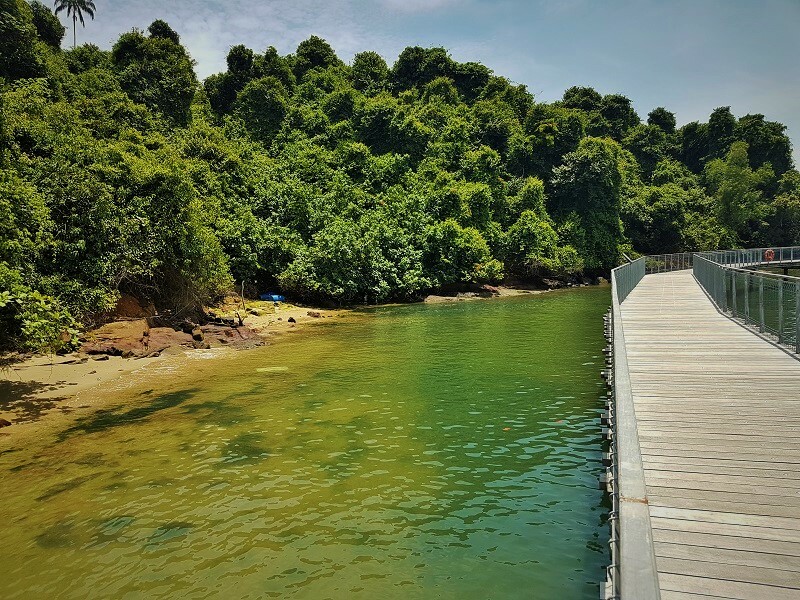 I hope this detailed guide to Pulau Ubin Singapore will help you in planning your trip to Pulau Ubin.